Your search for the best electrical contractor in Perris, CA ends at RAM 1 ELECTRIC INC. From residential to commercial and industrial electrical service work, you can rely on our electricians to be of service to you. We have the knowledge, experience, and the proper equipment to promptly deliver the services you need no matter where you are in the Riverside County, CA area. We pride ourselves on having skilled and professional technicians who are always ready to help. We make sure to deliver only the best solutions tailored to suit your specific electrical repair, maintenance, and installation needs. We do all of these to help you save time and money on any of your electrical projects. Let us put our expertise and experience in the industry to work for you, so you can worry less knowing that you’re dealing with trusted experts. 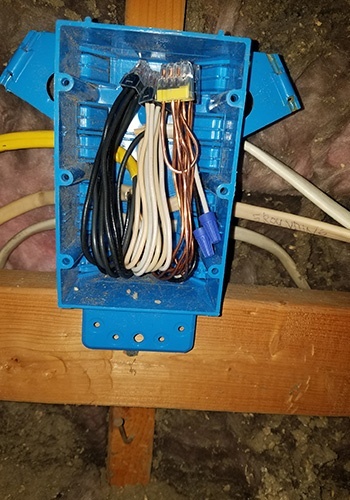 Address electrical issues right away with the help of RAM 1 ELECTRIC INC. Our team is always ready to deliver the services you need to ensure that your electrical system is free from damage and malfunctions. No electrical work is too simple or complex for our hardworking professionals. Just give us a call to schedule an appointment.